We’re grateful to be a successful business and believe it’s important to share our success with those most in need. We also like to keep up to date with who is doing great work locally and around the globe. We asked some of our customers for worthy nominations that they’d like us to make a £100 donation to. We had a fantastic response. 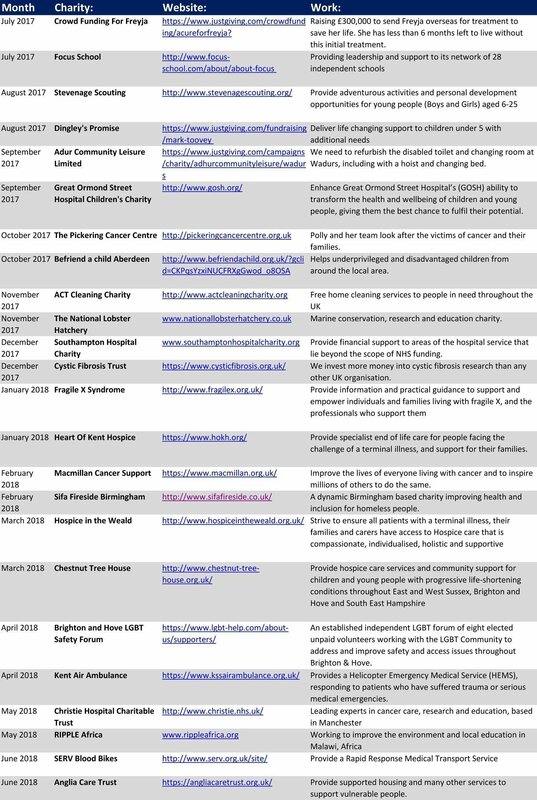 Some customers had personal stories and wanted to help the charity that helped them, some were actively fund raising and looking for support and various other charities were nominated for a range of great reasons. Initially we were looking to donate £100 per month, however, due to the overwhealming response we made the decision to double this to £200 per month over the next 12 months.